SimCity 2013 is a reboot and the sixth installment of the bestselling video games series for PC (Windows and Mac operating systems). The game is developed by Maxis and published by Electronic Arts. 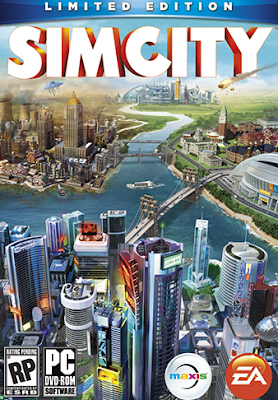 SimCity sees you taking over as the mayor of your very own city. You manage zoning, where roads are constructed, schools, police stations, fire stations, budgets and so on. While this game might not sound like the most interesting game ever, it's far more thrilling than it sounds, and it's simply one of the most addictive games ever. Before purchasing and installing the new game make sure that your PC meets the basic System Requirements to run the game.